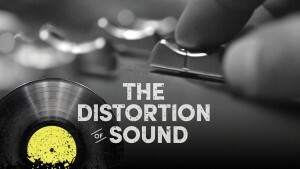 This video “Distortion of Sound” from http://www.distortionofsound.com has a very interesting view of the music industry today. It provides an interesting parallel to the car audio industry as people have been focusing on quantity of music rather than purity of sound. Some companies are trying to use digital media to its full potential. Audison’s BitPlay, a product we featured in a past article, is a good example of manufacturers trying to improve the quality of digital media. Manufacturers Pioneer and Kenwood now offer some models that have direct “flac” file playback. But will this ever overcome iPhones or other lifestyle devices? Where did the CD player go? As of 2016, the OEM car manufacturers will stop producing in car cd players on most models…what does this mean to sound quality? Even companies like JVC, Alpine and Pioneer are offering digital media only radios. Could we say “they are cheaper to produce” or are they only reacting to market demand? Will the USB connection be the only means of getting your digital music into our audio systems? Outboard DACs (digit to analog converts) are all the rage in home audio at the moment but why haven’t we seen this in the automotive environment? I have seen tons of people using adaptors to use home audio products in the car. But these products are not designed for the vibrations and temperatures of the automotive environment. You would think manufacturers of head units would start to make such a product. Most manufacturers are making better amplifiers with processing for EQs and DSPs built in but if the input to the amplifier to low-quality audio then we are just making low-quality audio louder…it makes you wonder why? In the next article, we will cover how to get the best quality digital media to your media player or lifestyle device.